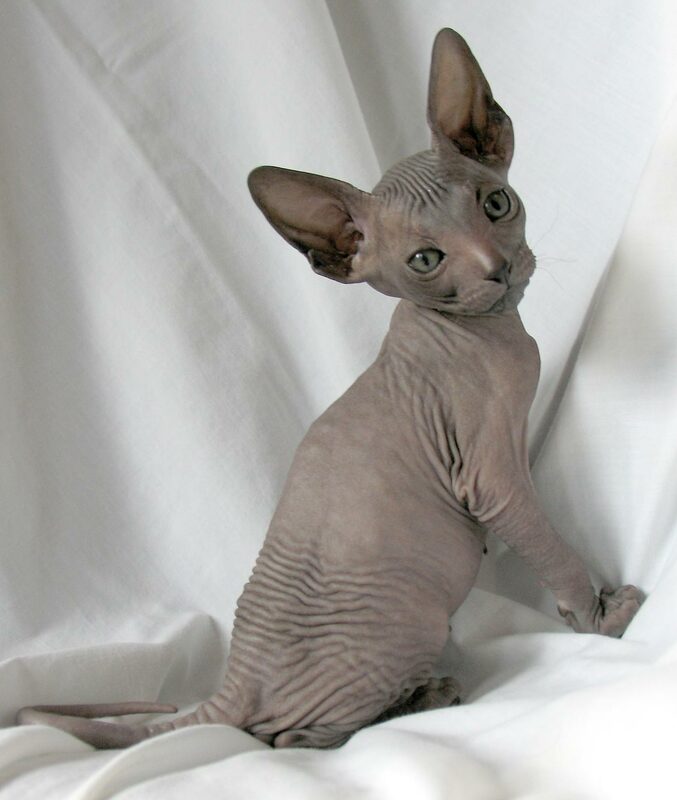 The Donskoy Cat, or simply, the Donskoy, is a rare, Russian breed known for its hairless skin. 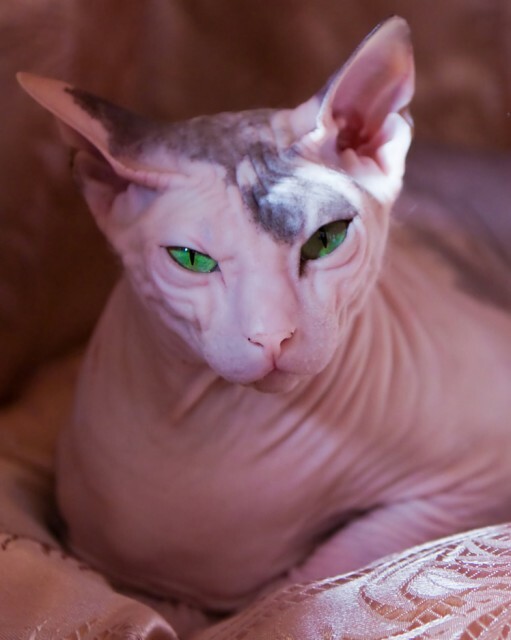 The Donskoy is a muscularly built feline with wrinkles all over its body, rendering it the looks of an extraterrestrial being. Their almond-shaped eyes, big ears, slender feet with elongated webbed fingers, have all added to the bizarre looks. These intelligent, domesticated cats are recently gaining popularity for their ‘cute’ and ‘comic’ features, and gentle disposition. In 1987, the breed started for the first time after it was discovered by one Russian breeder Elena Kovaleva in Rostov-on-Don (USSR). 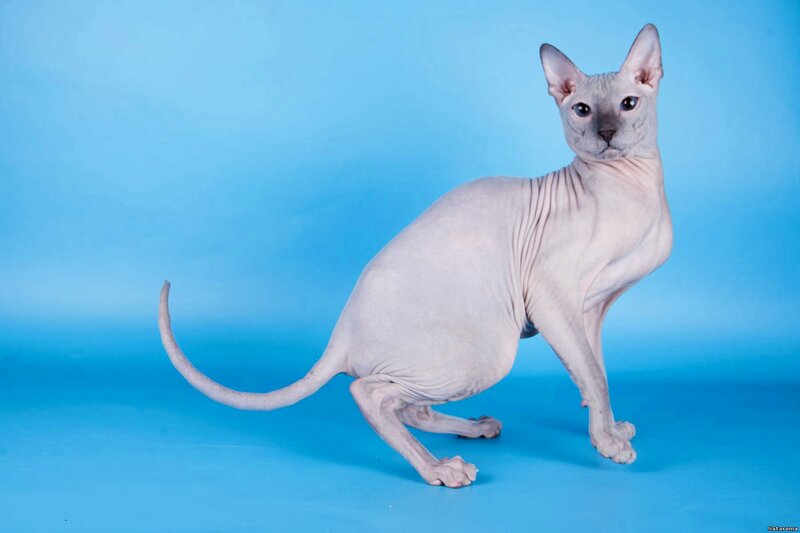 Later, the breed of the Peterbalds was developed by crossing these cats with the Siamese and the Oriental cats. 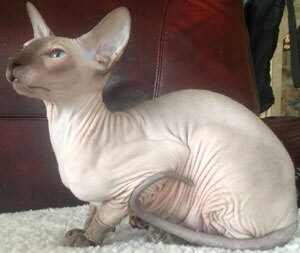 The aim was to create a hairless cat of Oriental type. 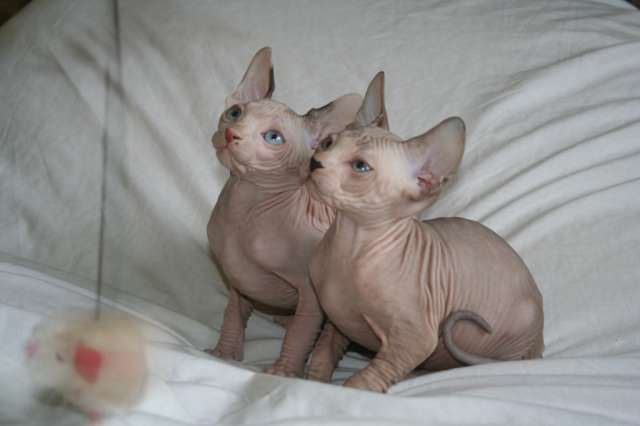 However, in recent times, mating between the Donskoy and the Peterbald is not permitted any more. 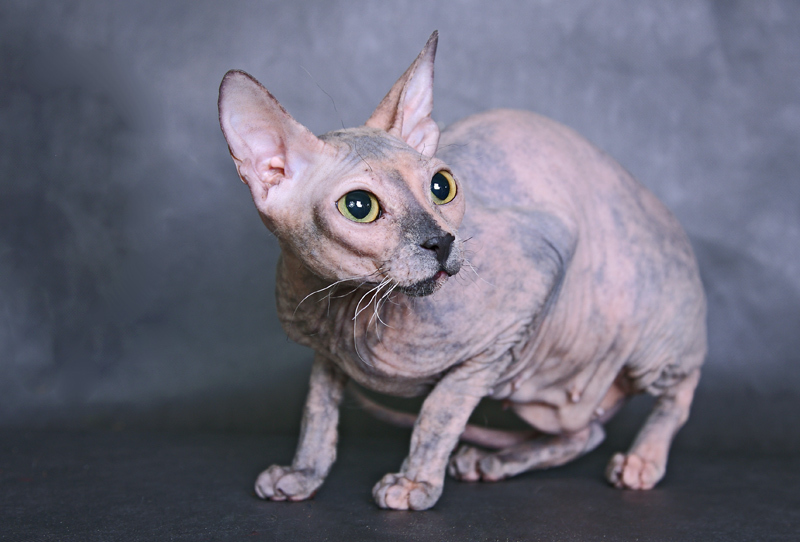 In 1997, this breed was officially recognized for the first time by World Cat Federation (WCF), and later on, in 2005, by The International Cat Association (TICA). The loyalty of the Dons are only comparable to the dogs. They very obedient, smart and gentle, making them great family pets. They are curious and inquisitive, constantly following their maters from room to room. The Donskoys are not at all aggressive, but would only scratch or bite, if provoked, or for defense. The cats are active and can pick up voice commands easily. They are lively and love attention. They are social and are good with kids, and would even greet strangers visiting their homes. Many individuals of the breed are extremely vocal. This vocalizing tendency might at times lead to excessive and undesirable crying or meowing, especially during the night. These cats love creative games and toys. They make great companions for both young and old people, and are perfect for apartment life. 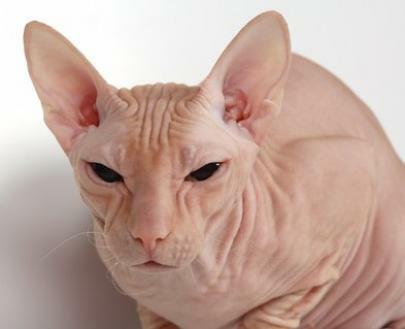 Although hairless, it is not a low-maintenance cat. But the good news is, both the adult cats and the kittens love to be handled, and don’t show much objection to the grooming routine. 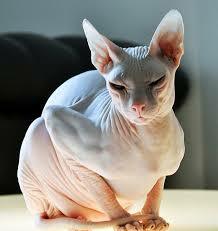 Because they are hairless, they sweat like humans. Hence, it is recommended to give them a daily sponging, or at least, a wet rinse. Bathe them once a month. However, too much of bathing might make their skin excessively oily. Clip their nails once a month or two. But do keep an eye on its dental hygiene. You can brush their teeth at least once a week. The Dons are generally healthy. But there are certain concerns about the breed’s genetic health. 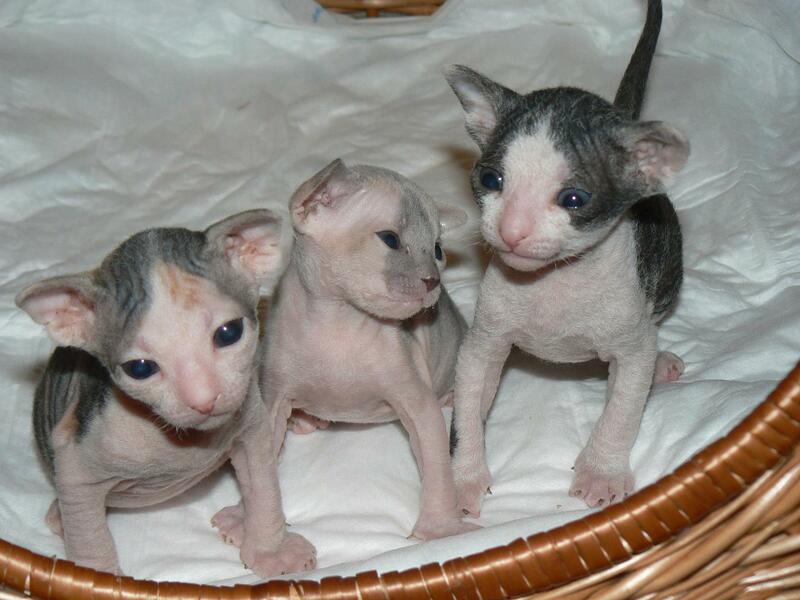 Some are of the opinion that, the dominant genetic mutation causing hairlessness in these cats might as well cause feline ectodermal dysplasia in its homozygous form. This, in turn, might trigger issues like poor dentition and insufficient lactation. Also be aware that the hairless breed has no outer protection. Hairlessness might easily get them chill and sunburn, or dermatological issues associated with excessive weather conditions. The intelligent cat would pick up training instantly. Give your kitten the general cat training sessions meant for most cat breeds. Make obedience and household etiquette a part of their habits. General cat food like high-quality dry cat food is enough for them, and so is a home-cooked diet, or even canned cat foods. But a diet with bones and raw non-vegetarian food, or BARF, is best for the health of your pet. Raw foods can include meat, bones, fishes, etc. Avoid serving milk or milk products to your cat. They are generally intolerant to lactic diet. Sometimes, newly born kittens have hair on their tail, which normally disappears at around two years of age. 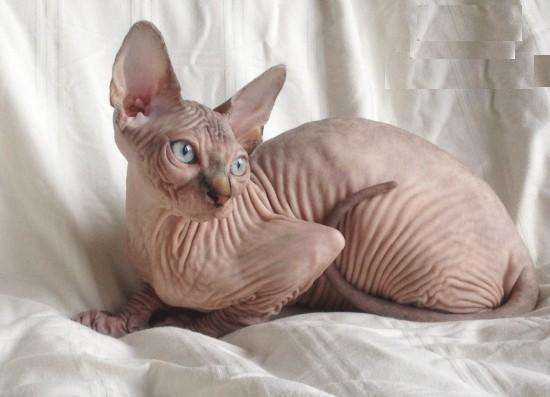 There is much difference between the hairlessness of the Canadian Sphynx Cat and the Donskoy Cat. While the Canadian hairless has no hair because of a recessive gene, the latter is hairless for a dominant gene. Although a bald or hairless tail is preferred, some Dons do have fine, hair/fluff on their tail tip. 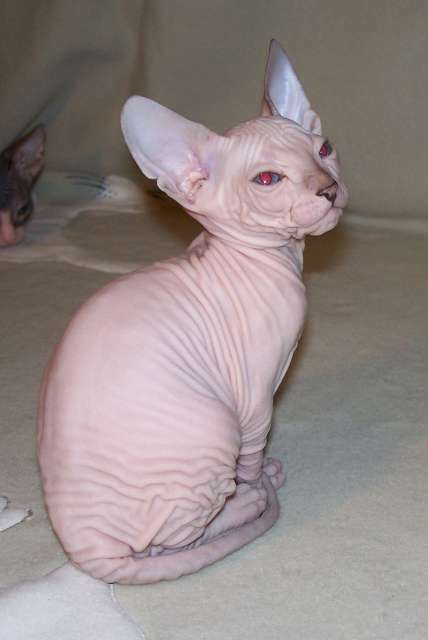 The Donskoy cat has an unique adaptation. They grow a winter coat, a fine wool on the chest and some hairs on the tail tip. As the weather warms up, the hairs disappear. Published on June 6th 2015 by Shiloh Nevada under Russian Cats. Article was last reviewed on 26th May 2017.